These would be perfect for breakfast on the go! These breakfast bars look delicious, I know my kids would love these as something different! They look and sound delicious! What a great recipe. I wonder if you could get away with not adding any extra sweetener in addition to the dried fruit? I always find dried fruit and dates are sweet enough but do you think you need the syrup to help bind them? 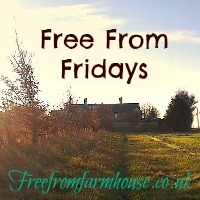 Thanks for linking to #freefromfridays!